Well, OK, maybe not everything. But a little bit about sourdough and then how to start a starter. If you’re not interested in the sciencey/history stuff, go ahead and just scroll on down to how to start the starter. The term “sourdough” is not just about what the bread tastes like, it also refers to the type of leaven used in the bread. Ever wonder how people made bread before the cute little yeast packets showed up at the grocery store? They used the natural, wild yeasts that are available in the air around us. 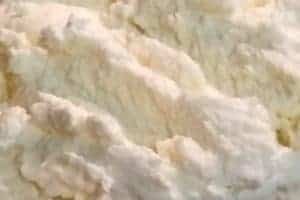 There are approximately 1,500 strains of wild yeast that have been named and classified by scientists, and they estimate that is only about 1% of the total number of yeasts. The cute little yeast packets in the grocery store use only one of those. Just a thought, but if God created all those different yeasts that can be used for leavening bread, wouldn’t it be better to use more than one? Now I am not a scientist or a doctor or a microbiologist, and I don’t even play one on TV 🙂 , so I don’t know the answer to that. But I do know that people made bread for thousands of years before the cute little packets made it on the scene. In fact, in some European family owned bakeries, they still use the same sourdough starter that their great, great, great-grands used. How does “wild yeast” work? Basically, yeasts work by feeding off the sugars in the flour. The sugars go through a fermentation process which produces alcohol and gas. The gas is what makes the bread rise. 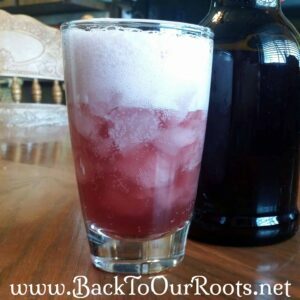 The alcohol is what causes the “souring”, and prevents the growth of mold and bacteria. The sourness of the final product is determined by how “liquidy” (is that a word?) your starter is, and how long the bread is allowed to rise. It is also determined by which of the yeasts are more abundant where you are using your starter. That’s why traditional sourdough breads taste different in different places. As the yeasts feed, they grow exponentially. That’s why it takes about a week before your starter is ready to use. The older your starter, the better it works! OK, on to starting the starter. All you do is mix the flour into the water in the jar and scrape down the sides. It doesn’t have to be smooth, it’s OK to have lumps. Now you need to cover it to keep out dust and stuff. It also tends to attract fruit flies in the summer. I use a paper coffee filter secured with a pony tail holder. You can also use a clean dishcloth. Or a napkin. Just make sure that whatever you use allows the gases to escape, but doesn’t allow dust, fruit flies, or curious kitties in. I also like the coffee filter option because I use a sharpie to write the date that I start it, and make a mark for every time I feed it. After you mix it up and loosely cover it, put it in a warmish, out-of-the-way place so it’s not in your way all the time. I understand the top of the fridge is a good place for some people. I like to have mine a little closer to eye level so I don’t forget to feed it. Ask me how I know that. 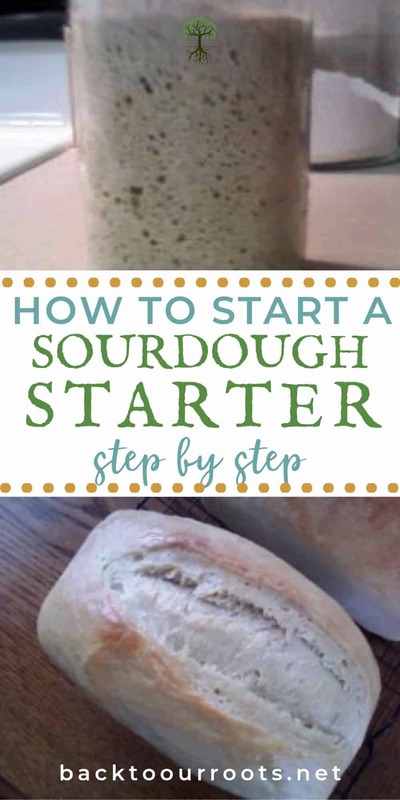 About 12 hours after you start it, you are going to need to feed the starter. It may or may not have started doing anything by then. Just feed it anyway. To feed it, stir it down and add 1/4 cup water and 3/8 cup flour. I like to mix in the water first and then the flour. It mixes easier that way. Again, it’s OK if it has lumps, they will go away. Don’t forget to scrape down the sides so none of it dries out. In another 12(ish) hours you are going to feed it again. This time, though, after you stir it down, take out about half of what’s in the jar and throw it out. Add back in 1/4 cup of water and 3/8 cup flour. Now, I know, I know, you’re thinking that throwing it out seems to be wasteful. But it’s really important that you don’t starve your starter. You have to give it enough flour to keep it feeding for several hours. If you don’t throw half of it out, you would need a ginormous container at the end of 14 feedings! Luckily, there are several recipes that have been developed to use that discarded starter. And yes, you can use the beginning-the-starter-but-not-quite-there-yet starter that you are taking out of the jar every time you feed it. This recipe for Sourdough Waffles is one of my favorites. So, about every 12 hours, you need to get rid of about half of what’s in the jar, and feed it again. I do it in the morning when I get up and at night before I go to bed. Is that exactly 12 hours? No. But that’s OK, sourdough is really quite forgiving. Even if you don’t think it’s doing much, just keep feeding it. 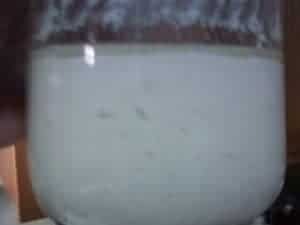 It may or may not at some time form a layer of clearish-yellowish-brownish liquid either on the top or bottom. And even sometimes in the middle. That liquid is called “hooch” and is the alcohol forming. That can indicate that it’s not getting enough flour at feeding time. Just stir it back into the rest when you feed it, and give it more flour every time you feed. It might be kinda smelly, but that is OK too. The smell and the color will depend on what kind of flour you are using. My whole wheat starter smells different than my white flour starter. If you miss a feeding, all is not lost! Just pick up where you left off. I like to mark the lid every time I feed it because you need to feed it at least 14 times before it’s ready to use. 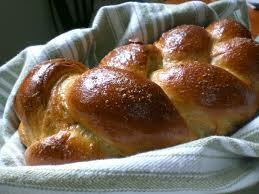 By then, the yeasts will have multiplied to the point where there is enough to make the bread rise. 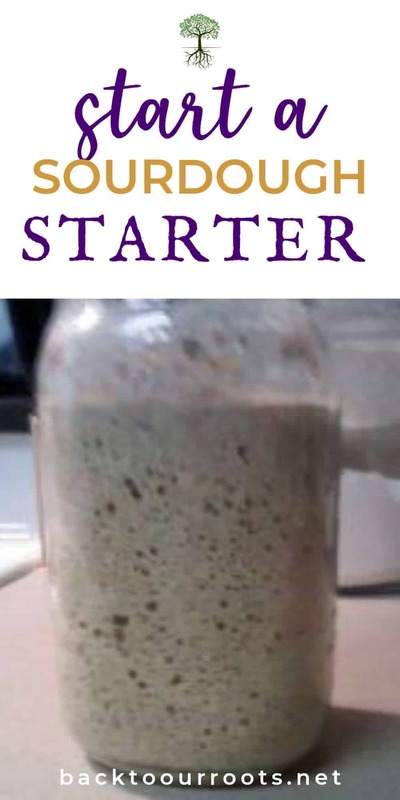 After about the third or fourth day, you should be able to see bubbles forming in the starter. This may start happening before that, but should definitely be happening by the fourth day. If not, you probably need to start over. 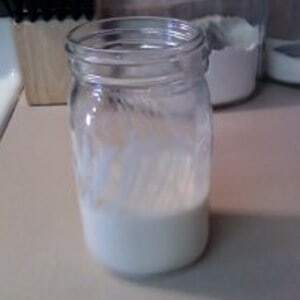 After about the fifth day it should be filling the jar 1/2 to 3/4 full between feedings. The process can sometimes be slower if your kitchen is cold, so keep that in mind. I started a new starter this morning so I could take pictures to show you what it may look like at each stage. I’ll post them every day until we get to the point when we can actually start using it. Then I’ll post some recipes and suggestions on what to do with it. You’d be surprised at what all you can do with a sourdough starter! Just know that after it is strong enough to use, you can keep about a cup of it in the fridge and only feed it once a week. I don’t want you to think you’re going to be feeding it twice a day for the rest of your life! So, ready for some pictures? Same jar from the top. Kinda lumpy. Now with a frilly little bonnet on, ready to go to work. Right before 1st feeding. See the layer of hooch on top? And there are already some bubbles forming. After 1st feeding. The starter fills up about half the jar. It happened to be warm in the kitchen today, so things got going pretty quickly. I don’t remember hooch and bubbles before the 1st feeding before. So if you don’t get any, don’t worry. Tomorrow I’ll give you an update on the starter, and some ideas on what you can do with it besides bread. I am having a terrible time getting my bread to rise on the second rise. First rise works great but my bread is always flat. What am I doing wrong? THanks Cery, I had my suspicions but you have confirmed it! Thanks for your help. I’m going to go try a little baking! I just saw your recipt oday! My english has a low level but I think I understood the important parts and Im going to try soon this surdough. Thank you so much for sharing your knowledge. When I wS a child I remember womans in the family and neibgours doing bread iat house. Eveyone do it! Hello Rosa! What a great memory to have. I’m glad you found it helpful If you have any questions, please ask! Blessings! Thanks for this recipe and detailed info cant wait to try it.l am also a follower of Jesus. Good to know your doing this. Hi Gladys! So glad you found me. Come back and let me know how it goes for you. And if you have any questions, feel free to ask. Blessings! I would like to know if you can use self rising flour? Hi Jeanette! Unfortunately, self rising flour will probably not work to start a starter. 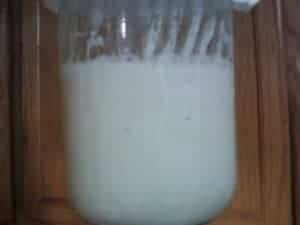 Since it has baking powder and salt in it, that may interfere with the growth of the wild yeasts. I know for sure that salt will inhibit the growth of yeast, but I’m not sure what percentage of the self rising flour is salt. Everything I’ve seen in the past has said to not use it with sourdough. Sorry. My son and I are gluten free. Can I use gluten free flour to make this recipe? Yes! You can absolutely use gluten free flour. 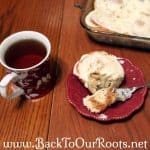 I have never used one personally, but my friend Wardee from Traditional Cooking School dot com has some great articles about gluten free sourdough. 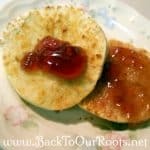 Here’s a link to starting a gluten free starter. Hi, so I’m gluten intolerant. Do you think coconut flour would work?? Yes you can make gluten-free sourdough starters. 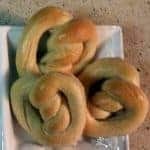 I have never used one before, but my friend Wardee Harmon over at Traditional Cooking School has some great articles about gluten free sourdough. Here’s a link to starting a gluten free starter. You can absolutely start another batch with the discard! What a great thing to do for your friends! I’ve struggled with availability of gluten free bread . Think it’s time To give sourdough a go . You have been very informative. Thank you. Looking forward to my new adventure. Welcome Suzy! Let me know how your adventure goes. If you have any questions feel free to ask. Blessings! I threw out half the starter at my 1st 12 hours & fed. Will it still turn out okay, or should I start over? Is this starter for sourdough recipes only? Or is there a different starter for just regular dinner rolls/bread. Etc. Hi Phyllis! This is only for sourdough breads. Most yeast added breads don’t call for any kind of starter. I have found plenty of information on growing a starter but not on how to use it. 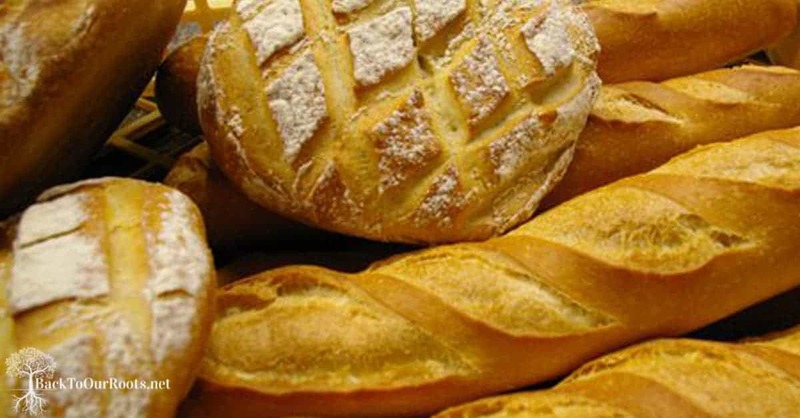 How much would you add to a bread recipe? Hi Jillian! The last part of this series has my go-to bread recipe. Every sourdough recipe is a little different, so I really can’t give you a definite amount. Mine uses 2 cups of the starter. Hope that helps some! (1) Before the 14th feeding, approximately how much starter should I have by measurement in my jar? (2) on the 14th feeding do I only remove 1 cup from jar? (3) If so, do I feed the jar 1/4 cup water and 3/8 cup flour and continue feeding it for future use? Hi Jan! On the 14th feeding, it’s ready to use. So you are not going to remove anything from the jar. You need to build up enough in the jar to use in the recipe with about 1/2 cup left over to keep it going. Sorry if that was confusing. I’m a newly retired nurse that loved to make sourdough starter and breads. I’m going to the kitchen now to get my starter started. Thanks for all the information. Hello Catherine! I’m so glad you are getting a starter going again! Happy baking! Hey Lori! That happens all the time at my house. lol Just feed it again before you go to bed. Better too often, then too seldom. 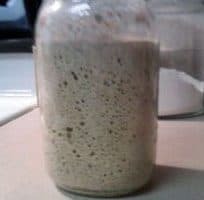 I just started my sourdough starter on 3/3/19, I have been feeding it every 12 hours but I missed a feeding at 12 am as I just couldn’t wake up to my alarm so at 6 am I stired it down and feed it then I disgarted 1/2 of it when I should’ve removed it before feeding..
And can I used the diisgard next time to star a new starter for my sister, and also would that be counted as day 1? Hi Carol! I’m so sorry for the delay in answering your question! Sourdough is pretty forgiving and it recovers quickly after a missed feeding. Just feed it a little extra if you miss one. You absolutely can gift some of the discard! Depending on where you are in the process, that’s where your sister would need to start. So if you are on day 5 of the feedings, the other person would also treat it like it was day 5. 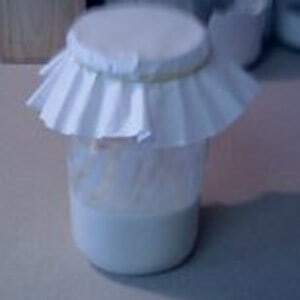 After the starter is established, even the discard would be ready to use by someone else after a feeding. After you use it and keep a half cup to keep going do you need to feed the half cup or just put in fridge? Then what do you do with the refrigerated starter when you need to prepare for another bake? Do you feed and put in a warm place or feed and put in fridge? Those are very good questions! I’m sorry I didn’t make that clearer in the directions. If the starter has been fed in the last 6 hours or so, go ahead and put it in the fridge. If it’s been longer than that, feed it again and wait about 2 hours before you put it in the fridge. Depending on whether the starter needs to be active for what you are making, like the bread for instance, you need to remove the starter from the fridge and let it come to room temp. That usually takes about an hour for me. Then feed it. After it’s active and bubbly it’s ready to use. That can take a few hours depending on the temperature of your kitchen. After you’ve done it a few times you will be able to better gauge how long it will take. I hope that cleared things up a bit!